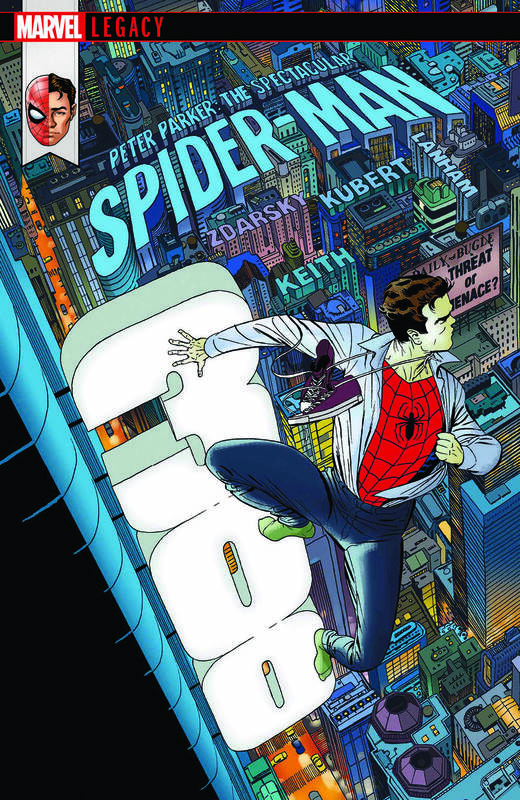 He’s a staple of the Marvel Universe, and this February, Peter Parker’s legacy will be honored with a milestone issue in PETER PARKER: THE SPECTACULAR SPIDER-MAN #300! A celebration of the Spider-Man legacy, PETER PARKER: SPECTACULAR SPIDER-MAN #300 follows the reveal of Peter Parker’s true identity as he goes up against the Tinkerer in what promises to be his biggest challenge yet! It’s a Mighty Marvel story worthy of a 56 page epic as the webslinger is joined in his fight by several Marvel heroes, including Black Panther, Iron Heart, Hawkeye, Wasp and more! Don’t miss PETER PARKER: THE SPECTACULAR SPIDER-MAN #300, coming to comic shops this February!